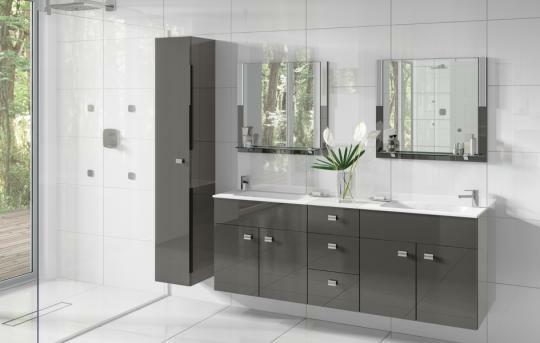 Image Dakota high gloss door on Dakota gloss cabinets with HA908 Chrome handles. Featuring twin Plano basins & 12mm Alaskan composite worktop. Making maximum use of space with the three drawer pack and towel unit creating an abundance of well thought out storage.